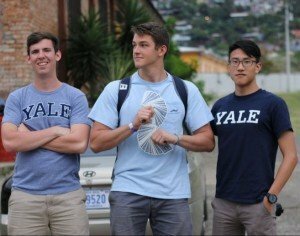 Two months after our trip ended, we wanted to share with you our experience hosting the Yale Magic Society in Costa Rica. 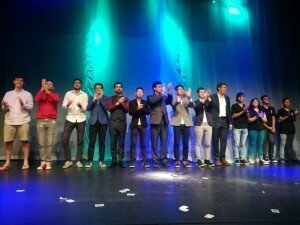 We had a blast in touring the country and doing magic in far away places, from Monteverde to Playa Sámara, in and around San José, including a Youth penitentiary center. All this was posible thanks to the Magicians Without Borders Costa Rica Team specially Diego Vargas to whom we cannot be more appreciative of all the hard work he put into making this a reality. Also to Alex Posner from Yale and of course to Tom. Thank you! All the hard work payed off! This entry was posted in Costa Rica, Featured News, Our Travels. Bookmark the permalink.